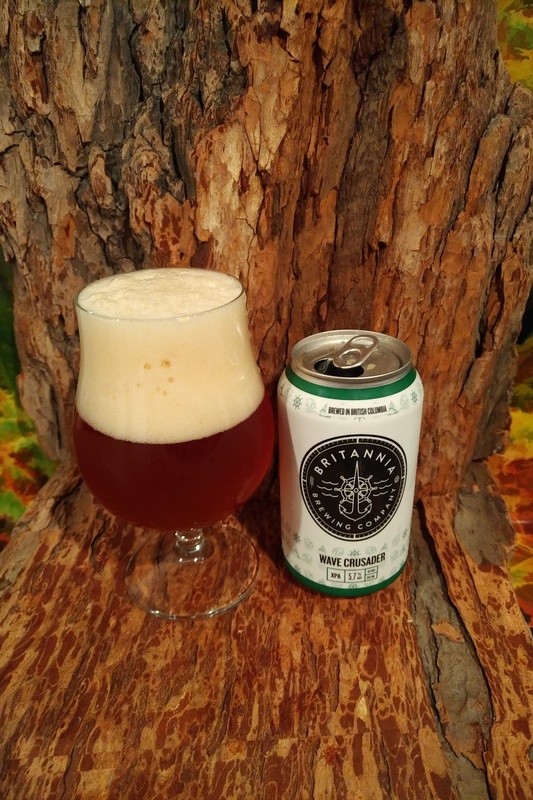 From Britannia Brewing Company in the Richmond with a tasting room in Steveston Village comes their “Wave Crusader XPA” an Extra Pale Ale. The beer pours an amber colour with a white head. The aroma consists of tropical fruit, melon, caramel, toffee and floral hops. The flavour is of bready malts, caramel, toffee, spice, citrus, citrus rind, resin and bitterness. The alcohol contnet comes in at 5.7% with an IBU of 45. This is an enjoyable Pale Ale and a good addition to the Richmond scene. Commercial Description: Falling somewhere between a British pale ale and American IPA, our extra pale ale uses UK crystal malts to balance west coast hops; allowing the resiny citrus of the hops to shine without the bitterness overwhelming your palate. This entry was posted in XPA and tagged bc, bitter, bitterness, bready, bready malt, bready malts, britannia brewing, canada, caramel, citrus, citrus rind, Extra Pale Ale, hopped, hops bittterness, richmond, spice, toffee, wave crusader, wave crusader extra pale ale, wave crusader xpa, XPA.